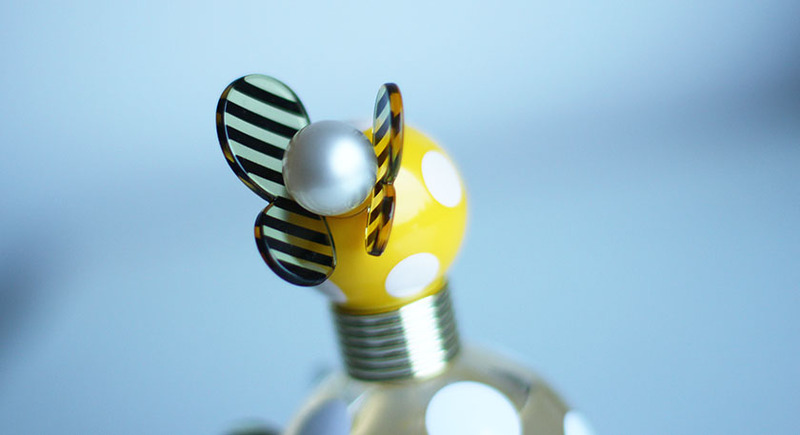 I can't even describe how much I love the design of Marc Jacobs Honey EDP. It is beautiful, unique, fun and interesting. I also adore the colour combination, as it goes with my new yellow, grey and white bedroom decor ;) I realise that some might find it tacky, but I am in love. What about the fragrance itself? 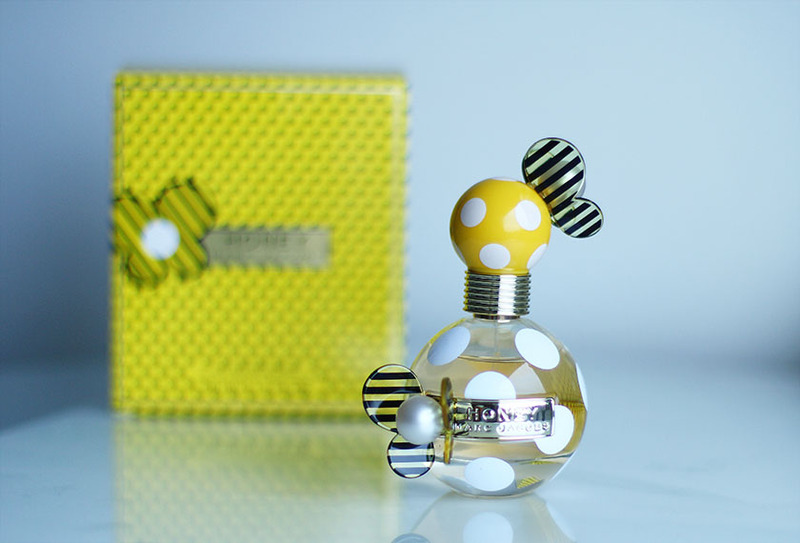 Marc Jacobs Honey EDP* (50ml, £50.00) is a beautiful, 'sunny' scent with a fruity and floral twist. The heart notes feature orange blossom and honeysuckle, followed by notes of peach, apricot, honey, golden vanilla and warm, smooth woods. I must admit... I can't smell honey in this EDP at all, but... it doesn't change the fact that I love this scent. I can definitely smell the apricot, peach, vanilla and orange blossom and I am sure that most of you would enjoy wearing this fragrance as much as I do. 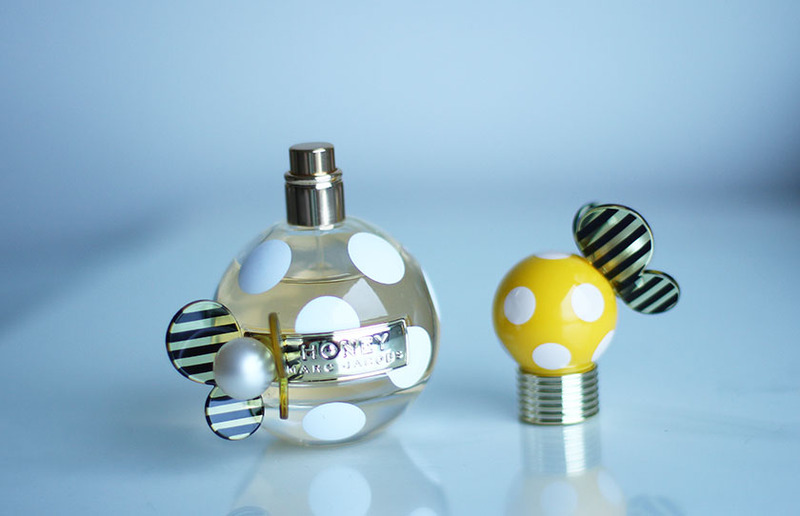 It could be a bit disappointing for those who expected the perfume to smell like actual honey, but you can fall in love with it easily anyway :) I am quite impressed with the lasting power of Marc Jacobs Honey, as it lingers on my skin all day, which is amazing. It is a safe choice, very subtle and feminine with an ability to put me in a very happy mood.